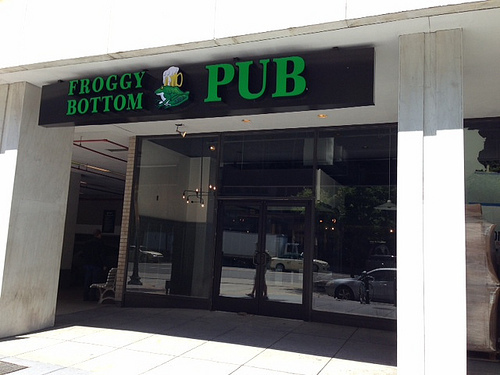 The Froggy Bottom Pub is excited to be opening our new location this week at 2021 K Street, NW. 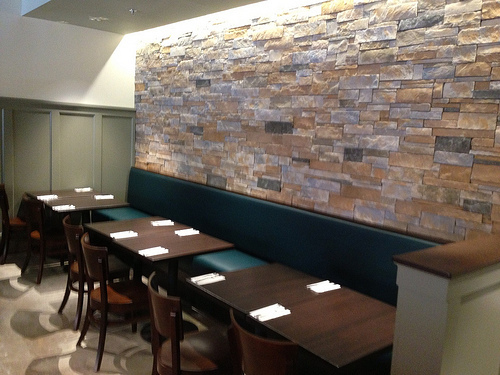 This Friday we’ll have a soft opening and the grand opening will be next week. We’ll all definitely miss the old pub, but the new place is simply fantastic. 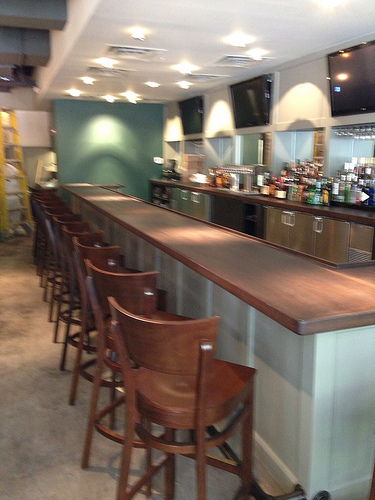 The beautiful hardwood bar area now has 18 stools and 11 tables, in the dining area there is seating for 64 people, and the outside patio is twice as large as our old patio. 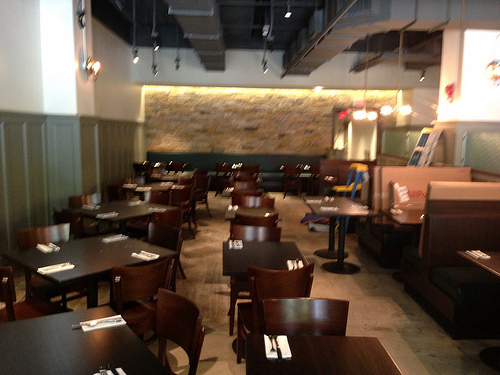 The new menu has all of the favorites from the old Frog, including the nachos, burger, chicken tenders, and the Pho. The new items include some great new salads, wraps, burgers, and some new Vietnamese items: Bánh Mì sandwiches and Spring rolls. Eight types of draft beer at the old Frog was good, but the new pub will now feature 12 draft selections include some local favorites: DC Brau and Port City Porter. The bartenders got together and came up with some great new drinks that we hope everyone will enjoy. 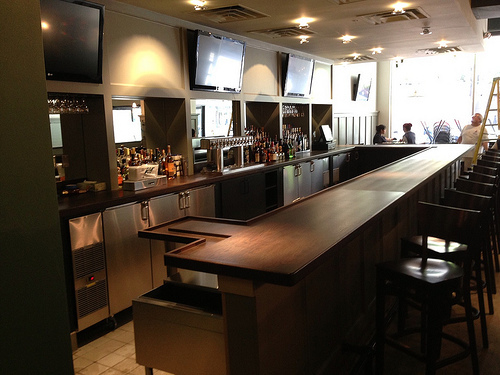 Have a look at some preview photos of the inside after the jump.